If you are like me, you love to download project deliverables and read through those PDF files to extract the most important pieces of information. Also, you love to produce dozens of pages for deliverables when working in a project. Right? Well, truth be told, I’m not overly keen on this kind of work and my suspicion is that neither of you is. When working in the SOLOMON project, we were thinking of an alternative way to do the deliverable work. Something that reflects our work in SOLOMON and fits to the project’s goal of providing an engaging and convenient customer experience. One of the fields we are working on in SOLOMON, are conversational interfaces for customer services, i.e. chatbots. 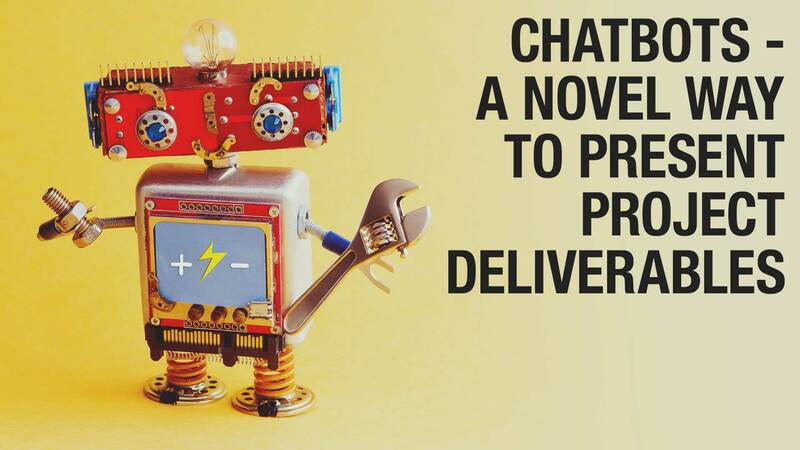 And that’s how we got the idea of using a chatbot as means for project deliverables. Instead of sharing PDF documents that only few people ever read and that take a considerable time to produce, we decided to do the other thing and implemented chatbots as means for deliverables. These chatbots access the deliverable knowledge base and are able to answer simple queries. So, instead of going through dozens of deliverable pages, you can just ask. We think that’s something more fun :-). Also, we contine to update the knowledge base with additional information so that you can always come back later to get additional news. You can find them on the SOLOMON page and start asking questions about the things we do in SOLOMON – our bots are happy to help you :-). Posted in Chatbots, SOLOMON and tagged Chatbot, project deliverable, SOLOMON.